Fernando and Stoffel will start in 17th and 19th positions respectively for tomorrow's Brazilian Grand Prix. 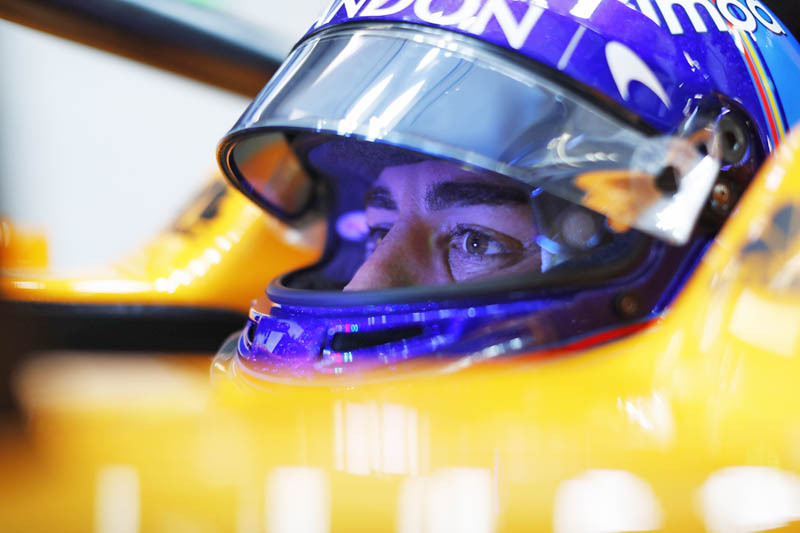 Although the drivers had no particular issues during the final practice session, neither Fernando nor Stoffel were particularly happy with the balance or pace in their car, and finished in 18th and 20th. Despite work on set-up over lunch, qualifying took place in similar on-track conditions, which offered little chance for outright improvement in pace. To add extra drama to the session, rain began falling intermittently shortly before the end of Q1, prompting a flurry of action in the pit-lane, although it didn't fall heavily enough to make an impact. Both Fernando and Stoffel finished their final runs with a couple of minutes to spare, but were unable to progress through to Q2 as other cars continued to set faster times before the chequered flag. They qualified in 18th and 20th positions, but will each start one position higher, due to a penalty for another car. Fernando Alonso: "My qualifying lap was still enjoyable, and with new tyres and light fuel these cars feel good, although obviously not quick enough to go through the sessions. "In dry conditions, early in the weekend, we already saw we didn't have the pace. We've been slow all weekend and we were slow in qualifying as well, so there are no surprises. There's nothing we can do now, other than try to improve tomorrow and try to help the team with some points. "We need some rain or a crazy race to benefit from, as in terms of pure pace we are maybe not quick enough. We're starting from the back, so we can take some risks and gamble on strategy." Stoffel Vandoorne: "It's not been the best weekend for us so far. We saw in practice this morning that we were never really on the pace, and it's unfortunate to confirm that in qualifying today. We can never seem to really benefit from wet conditions in qualifying as it never rains at the right time for us. "We'll see what we can do tomorrow. We have nothing to lose in the race and hopefully the weather will give us something to allow us a bit of a gamble, as I think that's the only opportunity we have to progress. We haven't really been competitive all weekend here. "In Mexico, the tyre degradation played to our advantage, but here it looks like it's not going to be the case, so hopefully the weather will do that for us." Gil de Ferran, Sporting Director: "Obviously we're disappointed with our final qualifying positions. Although the drivers reported a decent balance, we struggled with ultimate pace. During qualifying, we had to contend with the threat of rain that ultimately did not materialise, and expectations are that the weather may again be a variable which could strongly influence tomorrow's race. "Despite today's setback, we'll try to put our best foot forward. Our goal is to execute a good race, with fast pit-stops and the optimum strategy, and hopefully take advantage of our race pace, which has been strong for most of the year." "They shoot hoses don't they"